Mourn loss (of) immortal heroine, Marion Jack, greatly-loved and deeply-admired by 'Abdu'l-Baha, (a) shining example (to) pioneers (of) present (and) future generations (of) East (and) West, surpassed (in) constancy, dedication, self-abnegation (and) fearlessness by none except (the) incomparable Martha Root. Her unremitting, highly-meritorious activities (in the) course (of) almost half (a) century, both (in) North America (and) Southeast Europe, attaining (their) climax (in the) darkest, most dangerous phase (of the) second World War, shed imperishable luster (on) contemporary Baha'i history. (This) triumphant soul (is) now gathered (to the) distinguished band (of her) coworkers (in the) Abha Kingdom: Martha Root, Lua Getsinger, May Maxwell, Hyde Dunn, Susan Moody, Keith Ransom-Kehler, Ella Bailey (and) Dorothy Baker, whose remains, lying (in) such widely scattered areas (of the) globe as Honolulu, Cairo, Buenos Aires, Sydney, Tihran, Isfahan, Tripoli (and the) depths (of the) Mediterranean(Sea) attest the magnificence (of the) pioneer services rendered (by the) North American Baha'i community (in the) Apostolic (and) Formative Ages (of the) Baha'i Dispensation. Advise arrange (in) association (with the) Canadian National Assembly (and the) European Teaching Committee (a) befitting memorial gathering (in the) Mashriqu'l-Adhkar. Moved (to) share with (the) United States (and) Canadian National Assemblies (the) expenses (of the) erection, (as) soon as circumstances permit, (of a) worthy monument (at) her grave, destined (to) confer eternal benediction (on a) country already honored (by) its close proximity (to the) sacred city associated (with the) proclamation (of the) Faith (of) Baha'u'llah. Share message all National Assemblies. 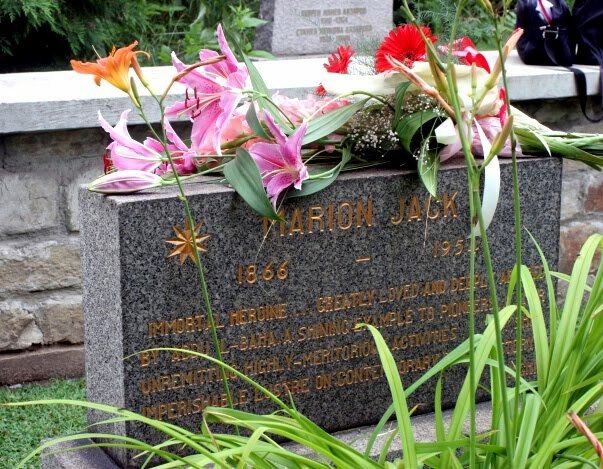 Marion Jack, "immortal heroine," "shining example to pioneers," passed from this life on March 25, 1954, in Sofia, Bulgaria, where she had been living for twenty-four years as a pioneer of the Baha'i Faith. Her remains are buried in the British cemetery there. The Guardian's tribute, expressed in his cablegram of March 29, attests the high station which this "triumphant soul" has attained. 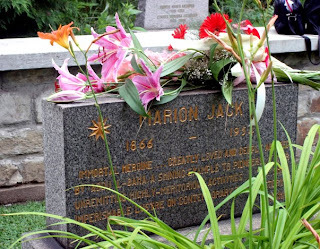 Marion Jack's services in the Baha'i Faith began early in the new century. Born in Saint John, New Brunswick, Canada, on December 1, 1866, of a prominent family, she received much of her education in England and particularly in France, where she studied art. Landscape painting was her special field. Some of her paintings are preserved in the Holy Land at the World Center of the Faith. "My first remembrance of Marion Jack was when we were students in the Latin Quarter in Paris. She was studying painting, I, architecture, and I used to see her in the 'Quarter' along the boulevard on Mont Parnasse. In the Quarter lived a Mme. Philippe who kept a Pension where a number of girl students lived. Mme. Philippe gave dancing parties at infrequent intervals. It was at one of these affairs, a fancy dress dance, that I met Marion. She was dressed in a fiery red costume that she had made herself of crinkled tissue paper topped off by an enormous 'Merry Widow' hat decorated with large yellow paper flowers . . . It was as we danced and sat out between dances that I told Marion of the Baha'I Faith. She was, as many were in those early days, afire with the Faith then and there, all at once. Marion met the Baha'is, came to meetings in my studio and elsewhere, and that was the beginning of her belief." From this time forward, her life was dedicated to the service of the Faith. She spent some time in 'Akka and was there in 1908, where she taught English to 'Abdu'l-Baha's grandchildren. She continued her painting while she was there. 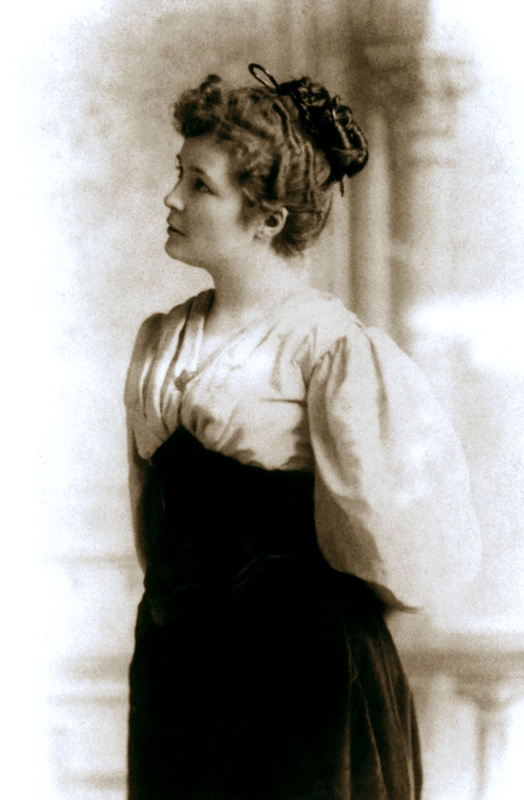 By 1914 she had returned to North America. She was one of the first to respond to the call of the Divine Plan of 'Abdu'l-Baha, performing pioneer service in Alaska and teaching in Toronto, Montreal, and many other places. She also spent a good deal of time in Green Acre, Eliot, Maine, helping with the teaching work at the Baha'i School and continuing her painting. Many friends remember this joyous, wholly dedicated soul from those days. Impressed by her gracious charm, her understanding, her twinkling sense of humor, everyone who recounts some association with her does so with a smile which seems to spring spontaneously from the mention of her name. "Jackie," as she was affectionately called, was ageless in her complete at-home-ness with young and old alike, was beloved wherever she went, drawing all to her and to each other through the quality of her faith, love and devotion to the Cause and to her beloved Guardian. "She was such a lovely person-- so joyous and happy that one loved to be with her. 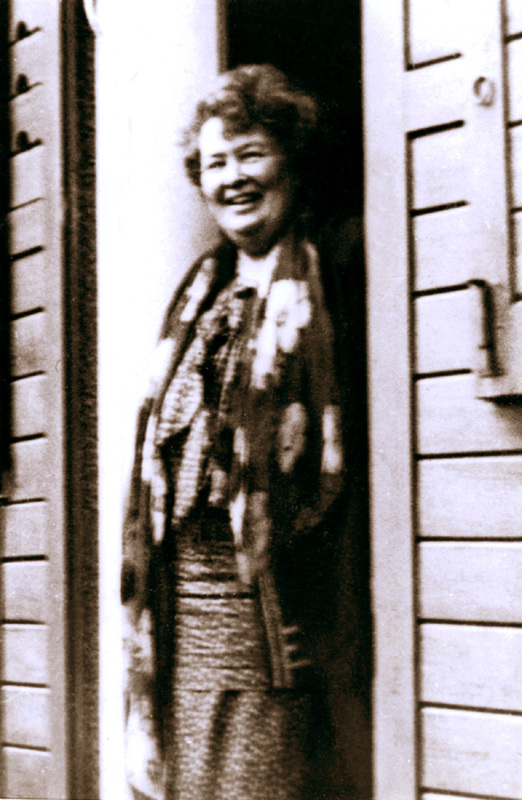 Her shining eyes and beautiful smile showed how much the Baha'i Faith meant to her . . . We used to love to go to her studio and talk with her, also to see her paintings of the Holy Land and familiar Green Acre landscapes. . . . She always entered into any plan with zest. . . . If we could all radiate happiness as did Jackie, I am sure we would attract more people to the Faith." In 1930 Marion Jack returned to Haifa and following this visit went to Sofia, Bulgaria, where she spent the remainder of her life. During the earlier years of this period she attended the German Summer School and undertook teaching missions to Vienna and Budapest. In Sofia she held frequent meetings that were well attended by people of prominence and capacity. As World War II approached, and all who could fled the country, the Guardian suggested that she go to Switzerland or to some safer place. She pleaded to be allowed to remain at her post, preferring, as she put it, to "remain at the switch." Living on a small pension, which did not always reach her in recent years, suffering serious deprivation, aged and in poor health, she remained at her post. It was not without reason that 'Abdu'l-Baha used to call her "General Jack." One of the friends writes of these days: "She was much sought out and beloved everywhere she went. As the so-called Iron curtain dropped, fewer people attended her meetings because of fear of the government. Towards the end of her life even her closest friends no longer went to see her, except one Baha’i. . . . During the last months of her severe illness, I wrote Miss Jack almost every week and in her last letter she bade me goodbye, hoping for a reunion in the Kingdom. When Miss Jack still corresponded, her letters were always cheerful, most spiritual and even humorous. . . . The British Consulate called her 'our friend.' . . . She was a consecrated Baha'i teacher, full of charm, understanding, gaiety and humor." "I met Miss Jack in June, 1938, in Sofia. I had left Austria when Hitler took over and found a temporary position in Sofia, waiting for my visa to the United States. I noticed her in the restaurant where I took my luncheon and she impressed me immediately with her friendly smile that she had for everybody. One day when her regular waiter who spoke English had his day off, the hostess asked me to serve as interpreter and from that day on, I shared the luncheon table with her regularly. It did not take long before she invited me to join a small group of her friends with whom she had discussions in her hotel room, and that was how I met the Faith. "Her room was a museum, full of her pictures, books and papers all over. We sat wherever there was some place-on 'the' chair, the bed, on the floor, and she always had some refreshments for her guests. The discussions on the Faith were handicapped by the complicated language question. Marion had no Baha’i literature in the Bulgarian language, few people understood English, and her favored book, 'Abdu'l-Baha’s Paris Talks, had to be translated by one person from French into German or English and by somebody else into Bulgarian. It was fun, but how much of the original spirit remained was questionable. "Marion had to be very careful in the choice of her guests. 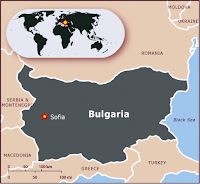 Bulgaria had one official State Religion, the Greek Orthodox Church, and only a few other religions were permitted, like Catholic, Jewish, Lutheran, Baptist, Seventh Day Adventist and Islam. Every Faith that was not permitted was forbidden and meetings like ours were illegal. State employees had to sign loyalty oaths stating their adherence to the legal Faith and we had one girl who worked for the government. "When World War II broke out, Marion had to discontinue her meetings. 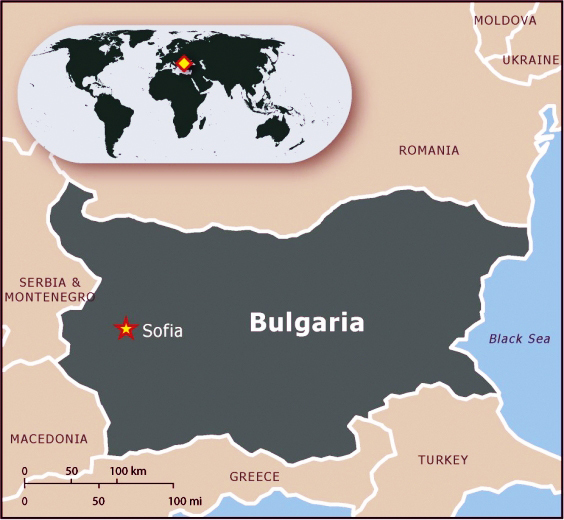 Sofia became the center of European spy systems. Neither she nor I (a German citizen of secondary quality) could dare to be seen together. I kept contact with her indirectly through 'neutral' Bulgarian citizens. She was in financial difficulties because her funds did not get to her. But her spirit was unbroken. "In October, 1940, when I finally got my visa for the United States, I dared to call her on the phone and even to see her. She had moved to a cheaper hotel. Her room was probably too small for two people and we met in the hotel lobby. I told her of my plan to go to the United States by the complicated way, crossing the Black Sea to Odessa, through Russia on the Trans-Siberian Railroad and across the Pacific from Japan to the United States. I invited her to come along and promised that I would take care of her. But she declined. She told me that the Guardian had permitted her to go to Switzerland rather than to wait for the German invasion in Bulgaria which was expected daily. She considered it her duty to stay in Sofia and would neither seek security in Switzerland nor in her native Canada, nor the United States. "We exchanged letters until Bulgaria became part of the Iron Curtain and she indicated that it was too dangerous to receive my letters and to write to me." "To remain at one's post, to undergo sacrifice and hardship, loneliness and, if necessary, persecution, in order to hold aloft the torch of Baha’u'llah, is the true function of every pioneer. "Let them remember Marion Jack, who for over twenty years, in a country the language of which she never mastered; during war and bombardment; evacuation and poverty; and at length, serious illness, stuck to her post, and has now blessed the soil of the land she had chosen to serve at such cost with her precious remains, every atom of which was dedicated to Baha'u'llah. Perhaps the friends are not aware that the Guardian, himself, during the war on more than one occasion urged her to seek safety in Switzerland rather than remain behind enemy lines and be entirely cut off. Lovingly she pleaded that he would not require her to leave her post; and he acquiesced to her request. Surely the standard of Marion Jack should be borne in mind by every pioneer!" "He would suggest that, when writing to the European centers, you share with the believers the glorious example of the life of Marion Jack. Young or old could never find a more inspiring pioneer in whose footsteps to walk, than this wonderful soul. "For over thirty years, with an enlarged heart, and many other ailments she remained at her post in Bulgaria. Never well-to-do, she often suffered actual poverty and want: want of heat, want of clothing, want of food, when her money failed to reach her because Bulgaria had come under the Soviet zone of influence. She was bombed, lost her possessions, she was evacuated, she lived in drafty, cold dormitories for many, many months in the country, she returned, valiant, to the capital of Bulgaria after the war and continued, on foot, to carry out her teaching work. "The Guardian himself urged her strongly, when the war first began to threaten to cut her off in Bulgaria, to go to Switzerland. She was a Canadian subject, and ran great risks by remaining, not to mention the dangers and privations of war. However, she begged the Guardian not to insist, and assured him her one desire was to remain with her spiritual children. This she did, up to the last breath of her glorious life. Her tomb will become a national shrine, immensely loved and revered, as the Faith rises in stature in that country. "He thinks that every Baha'i and most particularly those who have left their homes and gone to serve in foreign fields, should know of, and turn their gaze to, Marion Jack." As requested by the Guardian, a Memorial gathering was held for Marion Jack in the Baha'i House of Worship in Wilmette, Illinois, the program prepared by the National Spiritual Assembly of the Baha'is of the United States in association with the Canadian National Baha'i Assembly and the European Teaching Committee, on July 3, 1954. Among the over two hundred Baha'is attending were representatives from the Canadian Baha'i Community. To permit more of the Canadian Baha'is to share in a Memorial to Marion Jack, a time had been set aside at the Canadian National Baha'i Convention, on May 1, 1954, for the Canadian friends to gather for commemoration and prayers.